Seagate has become the first hard drive maker to achieve a milestone storage density of 1 terabit (1 trillion bits)(1 thousand gigabytes) per square inch. Seagate has produced a demonstration of the technology that promises to double the storage capacity of today’s hard drives upon its introduction later this decade and give rise to 3.5-inch hard drives with an extraordinary capacity of up to 60 terabytes over the 10 years that follow. The bits within a square inch of disk space, at the new milestone, far outnumber stars in the Milky Way, which astronomers put between 200 billion and 400 billion. 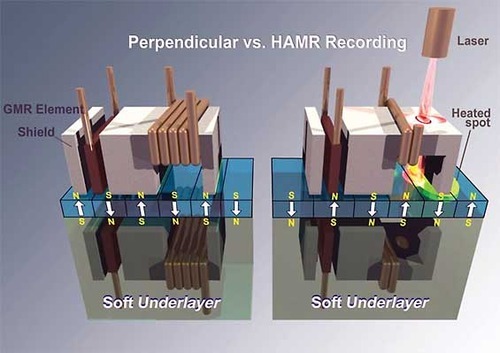 Seagate reached the landmark data density with heat-assisted magnetic recording(HAMR), the next- generation recording technology. The current hard drive technology, perpendicular magnetic recording (PMR), is used to record the spectrum of digitized data–from music, photos, and video stored on home desktop and laptop PCs, to business information housed in sprawling data centers–on the spinning platters inside every hard drive. PMR technology was introduced in 2006 to replace longitudinal recording, a method in place since the advent of hard drives for computer storage in 1956, and is expected to reach its capacity limit near 1 terabit per square inch in the next few years. 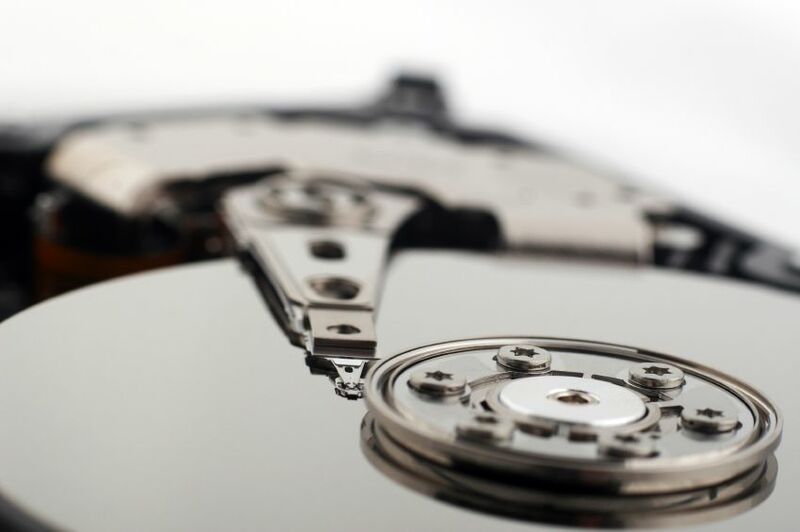 Hard drive manufacturers increase areal density and capacity by shrinking a platter’s data bits to pack more within each square inch of disk space. They also tighten the data tracks, the concentric circles on the disk’s surface that anchor the bits. The key to areal-density gains is to do both without disruptions to the bits’ magnetization, a phenomenon that can garble data. Using HAMR technology, Seagate has achieved a linear bit density of about 2 million bits per inch, once thought impossible, resulting in a data density of just over 1 trillion bits, or 1 terabit per-square-inch. That’s 55 percent higher than today’s areal-density ceiling of 620 gigabits per square inch. The maximum capacity of today’s 3.5-inch hard drives is 3 terabytes (TB), at about 620 gigabits per square inch, while 2.5-inch drives top out at 750GB, or roughly 500 gigabits per square inch. The first generation of HAMR drives, at just over 1 terabit per square inch, will likely more than double these capacities–up to 6TB for 3.5-inch drives and 2TB for 2.5-inch models. The technology offers a scale of capacity growth never before possible, with a theoretical areal-density limit ranging from 5-to-10 terabits per square inch–30TB-to-60TB for 3.5-inch drives and 10TB-to-20TB for 2.5-inch drives. Seagate achieved the 1 terabit per-square-inch breakthroughs in materials science and near-field optics at its heads and media research and development centers in Bloomington, Minnesota, and Fremont, California.